Patients have reported zero to minimal discomfort during the treatment. A pre-consultation is usually required, there is no downtime and treatments vary from 20 minutes-1hr depending on the area. 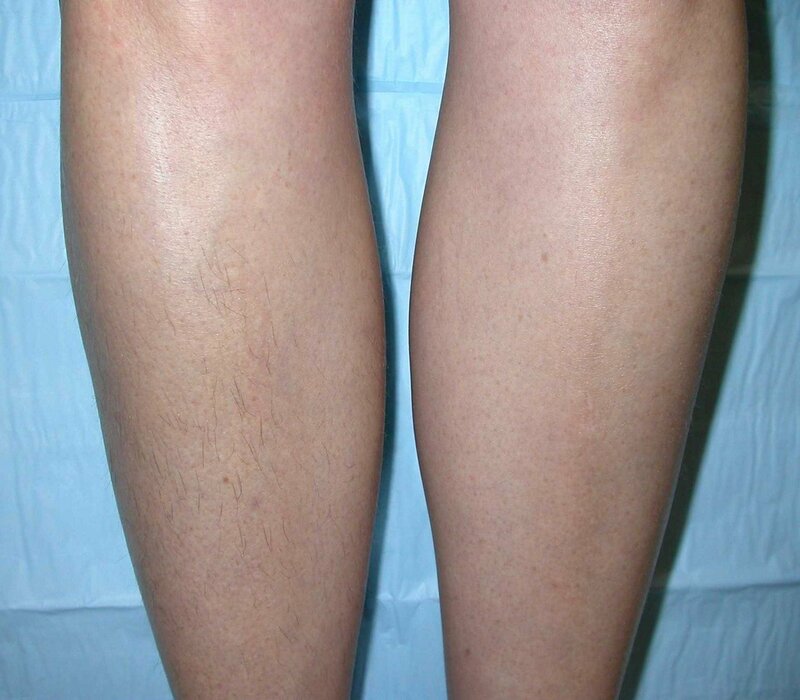 Laser Hair Renewal is the use of laser energy to produce long-term hair reduction. The heat from the light of the laser is absorbed by the pigment, or melanin, in the hair. That heat then triggers inflammation in the hair follicle which causes the follicles to go into its resting phase. While resting, the follicle produces no hair. Hair removal lasers in Upland emit a light at a specific wavelength that is known to be absorbed by the pigment (color) in the hair follicle — without damaging the surrounding skin. The light is converted to heat energy, which in turns disables the hair follicle so that it will not produce another hair. LaserLight’s hair removal lasers can safely treat any body part except for the small area inside the bony ridge of the eye socket. A number of factors determine the length of time for a Laser Treatment. At True Beauty Aesthetics, we plan for adequate time to go as slowly or as fast as is comfortable and appropriate for each client. The size and “topography” of the area treated factors into the time required, as does the amount of preparation. As a general rule, legs and backs take an hour to an hour and a half, while an upper lip or the tops of ears may require eight to 10 minutes. The front of the neck or underarms can take as little as 20 minutes. Dr. Sina will make sure to get you the best laser hair removal in Upland.